HIST& 127 WORLD CIVILIZATIONS II • 5	Cr. HIST& 146 U.S. HISTORY I • 5	Cr. Online classroom opens 1/2/2019. Log in at https://pencol.instructure.com Email address is required to register for online class. Prerequisite required. HIST& 147 U.S. HISTORY II • 5	Cr. HIST& 148 U.S. HISTORY III • 5	Cr. Prerequisite required. 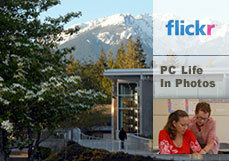 This class will incorporate use of live, interactive connections originating in Forks, and includes an online component. HIST& 214 PACIFIC NW HISTORY • 5	Cr.